Winter Warmth is full of beautiful warm, winter colors such as beige, brown and gray. 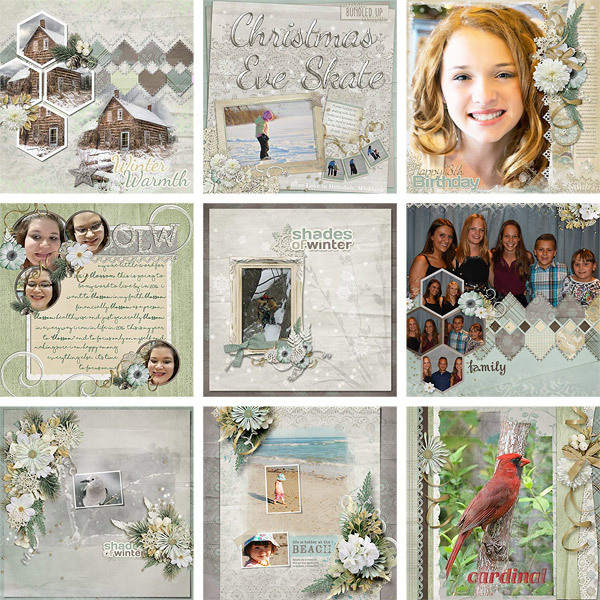 It’s elegant yet subtle and perfect for so many types of winter layouts. You can check it out at The Studio or Gotta Pixel. Tagged cream, light green, white, winter. This is so pretty … but there is no link for the freebie. Did I miss it? I must have missed it! Fixed! LOVE these soft colors!! Thank you so much!